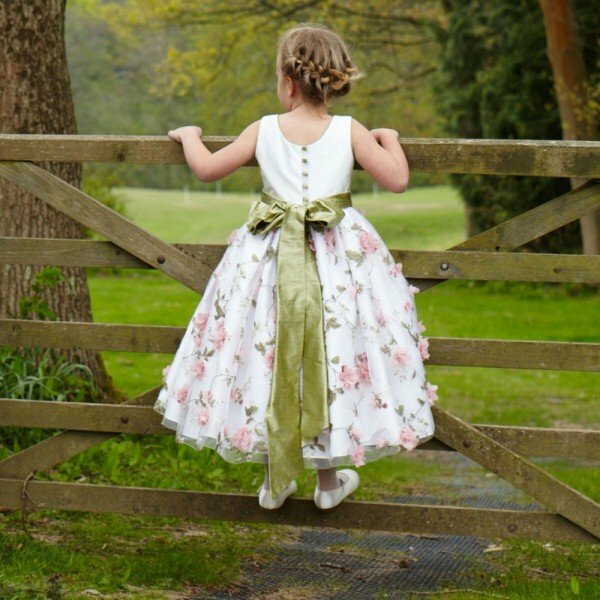 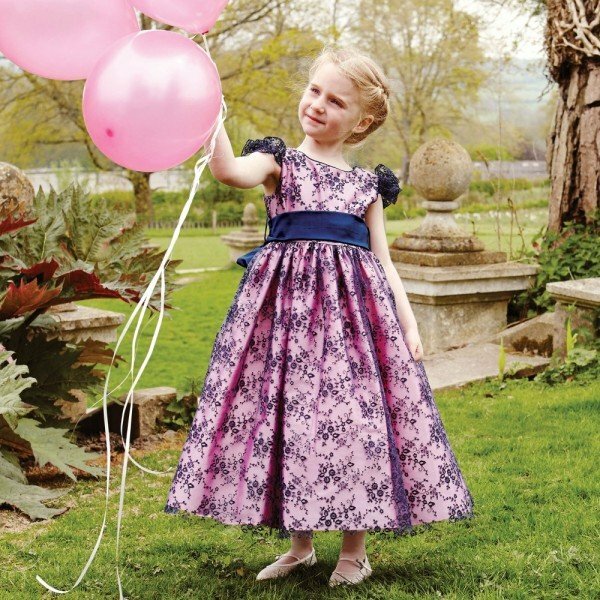 Love these gorgeous girls ballerina length Isabella dresses by Nicki Macfarlane that come in pink & blue sheer silk organza laid over a silky ivory fabric. 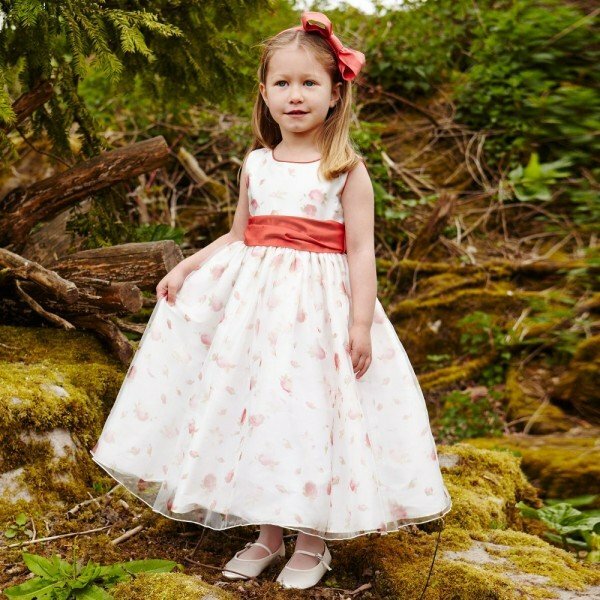 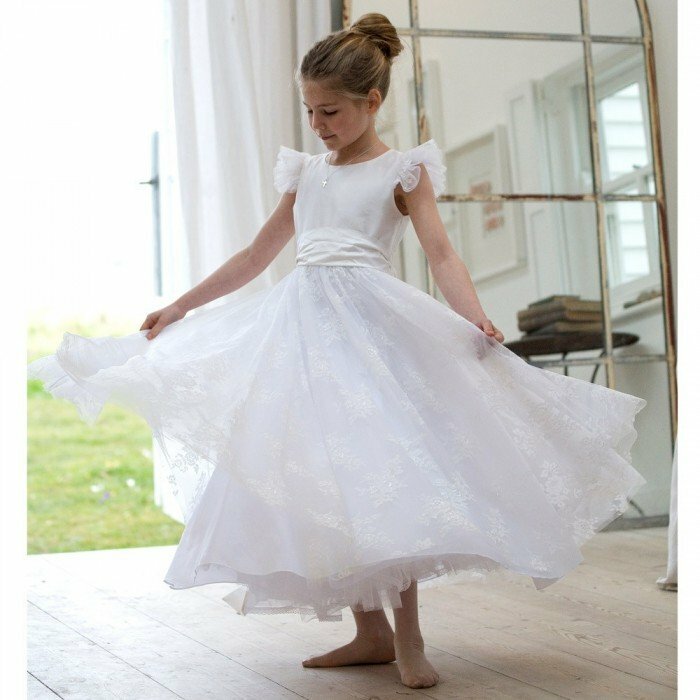 Perfect for a Spring or Summer special occasion this beautiful dress is designed with short sheer puffed sleeves and is decorated with pretty ivory organza flowers with pearl beads and sparkling diamanté details. 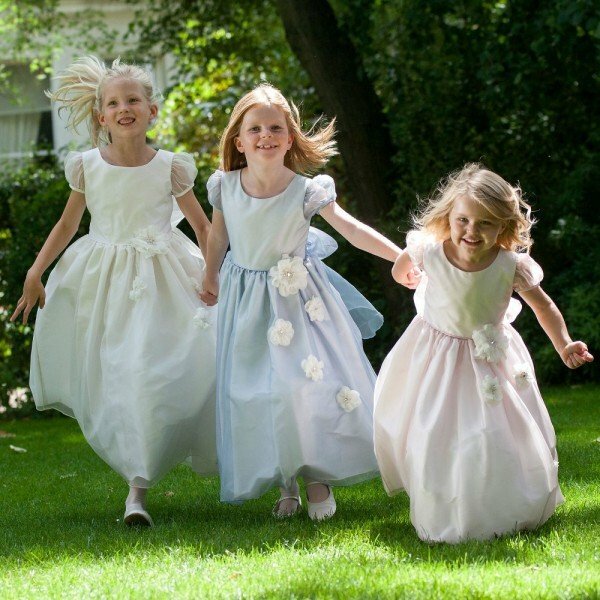 Nicki Macfarlane is the designer of the elegant dresses worn by the bridesmaids at the Royal Wedding.